Vale Harmony, Pershore, Worcestershire A Men's chorus singing is in four part close harmony A Cappella, in the Barbershop style. The chorus was first formed in 1978, currently has a membership numbering 20 and is registered with the British Association of Barbershop Singers (BABS). There is an annual convention and expert tuition is provided from time to time by external educators. Rehearsals are on a Wednesday evening in nearby Fladbury village hall. We perform locally for club events, celebrations, at charity shows and also take part in local local music festivals and competitions. Vale of York Voices, York A choir that sings Evensong approximately once a month in York Minster on Mondays, which is the day of for the Minster Choir. The choir is directed by Professor David M Howard and in keeping with the founding Dean's wishes, there are no auditions. The expectation is that singers can manage to sing Evensong on one 2-hour rehearsal the (Sunday) evening before each service, but the Director does reserve the right to have a chat with anyone he considers to be adversely affecting the overall sound of the choir. Vale of York Voices, York A choir that sings Evensong approximately once a month in York Minster on Mondays, which is the day of for the Minster Choir. The choir is directed by Professor David M Howard and in keeping with the founding Dean's wishes, there are no auditions. The expectation is that singers can manage to sing Evensong on one 2-hour rehearsal the (Sunday) evening before each service, but the Director does reserve the right to have a chat with anyone he considers to be adversely affecting the overall sound of the choir. Vale Royal Singers, Whitegate, Cheshire. Founded in 1978, this versatile group of around 20 voices gives performances of sacred and secular music of all kinds dating from the 15th century to the present day. Valentine Singers, Ilford, Essex Valentine Singers is a friendly group of around 60 singers with a range of backgrounds and a shared love of choral music. The choir has gained a reputation, both locally and further afield, for high quality performances with a friendly atmosphere and has been supported by Redbridge Vision and the Arts Council. Based in Ilford, on the border of London and Essex, we rehearse each Friday evening at Seven Kings High School, 494 Ley Street, Ilford IG2 7BT. We give at least four main concerts a year as well as singing at various events, often by invitation, mainly in the local community. We have also toured in England and abroad, most recently to Edinburgh where we gave three concerts in the Festival Fringe (2016). Variations Choir, Kettering, Northamptonshire The choir was formed when the Regent Players, who did Gilbert and Sullivan Operettas, folded in 1989. Some enthusiastic members decided to form a new group with Christine Howlett as musical director. It was decided that the new group should attempt a much wider repertoire than the Regent Players, singing music of many different styles and from many eras. Because of this it was decided that a suitable name for the new group would be Variations. Variations of Largs Choral Group, Ayrshire, Scotland Variations of Largs is an amateur community choir who have a loyal following in Largs and beyond. Our repertoire is a varied mix of popular and classical pieces. Vasari Singers Described by Gramophone magazine as "one of the most accomplished small choral groups of our time", Vasari has performed in most of London's major concert venues and taken part in numerous commercial concerts and festivals, including the BBC Proms. Vauxhall Male Voice Choir, Luton, Bedfordshire 45-strong. In 1998 they appeared at the Royal Albert Hall and at Twickenham before the England/Scotland rugby international. They've also appeared a number of times on radio and TV. Veda Slovena Bulgarian Choir, London A mixed-voice choir specialising in traditional Bulgarian sacred and secular vocal music. Following in the footsteps of such distinguished predecessors as the world famous Le Mystere de Voix Bulgares, who won a Grammy award in 1989 and brought Bulgarian folk to world-wide audiences, Veda Slovena are committed to preserving and celebrating this unique style of singing. With an international cast of singers the choir is a living proof that true musical beauty and wisdom know no borders - neither national nor spiritual. The group is lead by native Bulgarian singer Eugenia Georgieva, who provides vocal training, choral advice and pronunciation coaching. Based at University College London. Velvet Harmony, Bromley, Kent Bromley Ladies Barbershop Singers. Originally formed by six enthusiastic women singers in 1976. The chorus has grown considerably since that time and numbers in its ranks, singers of all ages and from all walks of life. The chorus sings unaccompanied, four part harmony and regularly enjoys sessions of voice coaching, barbershop craft and tuition by professionals in order to maintain its high standard. As a result of this, Velvet Harmony is in constant demand for both private and charitable functions throughout the year and is proud to be one of the top ten ladies barbershop choruses in the country. Victoria Consort, Belfast. Chamber choir established in 2011, comprised of some of the finest young singers from across Northern Ireland. The choir performs a wide range of choral music to a high standard in concerts across the country. Victoria Park Singers, London The choir launched in April 2013 and we are very proud to have now reached 100 members! There are no auditions and new men are very welcome, though sadly we have had to create a waiting list for ladies. Songs are carefully selected to offer something for everyone; from pop to gospel, classical to jazz and folk. Led by Hannah Brine, the choir is accompanied by the talented Hamish Balfour who, when not playing for Victoria Park Singers, is a much in demand session musician. The choir meets on Wednesdays during term time from 7-8.45pm, at the Royal Inn on the Park, 111 Lauriston Road, Hackney. Vidrodzhenia Ukrainian, Manchester 20 strong Ukrainian mixed voice choir. Taught by Lviv Conservatoire trained Conductor Halyna Savchyn. Prize winners. As near to the Ukrainian sound as you can get in the UK. Village Voices, Llangybi, Monmourthshire A community-based mixed-voice choir. A choir composed of people who told me they couldn't sing. That was a red rag to a bull! Now singing in four parts and loving it. There are about 25 of us on a good day, singing all sorts of music from Christmas Carols to modern songs in three- and four-part harmony arranged especially for us by our Musical Director. Very sociable and friendly, we meet on Fridays 1930-2045 - then down the pub! Village Voices (formerly Hemblington Harmony) Blofield, Norwich, Norfolk Village Voices is a community choir based in Blofield open to all people who like to sing for fun. The group is welcoming and sociable and attracts people who haven`t sung in a choir before as well as those who have a lot of singing experience. Music is taught mainly by ear and sometimes supplemented by sheet music and recordings. We sing a range of styles from sea shantys to gospel, traditional to popular tunes from the UK and round the world. Village Voices, Sandridge, St Albans, Herts We are a friendly, social, mixed choir of about 30 singers. We sing to learn and to give others enjoyment. We rehearse and perform in a beautiful old church 3 or 4 times a year and raise money for the upkeep of the church and for charity. Village Voices, Seer Green, near Beaconsfield, Bucks A women’s community choir based in . We are a choir of over 70 members, singing a wide ranging repertoire. Village Voices, Walgrave, Northamptonshire Our first Village Voices concert was on Good Friday 9th April 1993 at St Peter's Church Walgrave. We sang Stainer's Crucifixion with 5 audience participation hymns between movements. It was a success and Village Voices have been singing ever since. Over 20 years later it is now a well established entity in Walgrave and choir members come from a wide area to take part, with past members re-joining for some of the concert performances together with invited guest soloists. Village Quire, Hay on Wye, Hereford We are an acapella choir and have been singing together now for about four years. We specialise in unaccompanied West Gallery music, shape-note singing, folk harmony and rounds and catches. 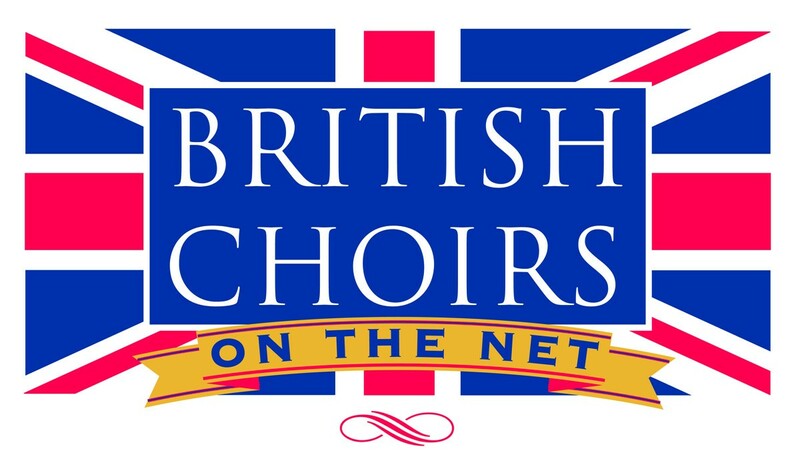 We seem to be getting a lot of bookings in this year, including an invitation to sing at the Festival of Britain's 60th Anniversary Celebrations (CHORUS) event at London's South Bank on May 14th. Vital Spark, Malvern, Worcestershire The choir was started in the winter of 1992 by John Williams, Roger Champkin and Grace Elliot. Having attended a weekend held by WGMA at Avon Tyrell in the New Forest in Hampshire, they were so overwhelmed by the vitality and freshness of west gallery music that on their return they immediately formed Vital Spark. Most of Vital Spark's singers are drawn from the local folk club scene rather than the 'classical' choral society; the resulting sound is vibrant and rustic. Besides singers (5 basses, 5 tenors, 6 altos, 4 trebles), Vital Spark has a useful core of local instrumentalists, playing bass viol, 'cello, bassoon, clarinet, and fiddle (there are four of the latter). Viva, Totnes, Devon Viva was formed in 2006 for women to explore the wide range of songs written by and for women around the world. From traditional Spanish and African lullabies, Georgian healing songs and weather rituals, to contemporary pop and folk, Viva aims to bring out the best in women’s close harmony singing. Viva Acappella, Bexleyheath, Kent A group of women who are fun, friendly, sociable and passionate about singing. We work hard to make sure that our standards are high so that members and audiences alike, experience the very best in harmony singing. Our repertoire has something for everyone, from Aerosmith to Sinatra, Adele to Bruno Mars and we are available for hire for any occasion including weddings, flash mobs, charity events and corporate entertainment. If you have an event in mind please contact us, we can even source bespoke musical arrangements if you have one in mind to make your event extra special! Viva la Musica, Loughborough, Leicestershire Viva La Musica is a chamber choir of 18 voices from Loughborough and the surrounding area. We perform a wide variety of sacred and secular repertoire, mostly 'a capella'. Founded in 2002, the choir is currently directed by Simon Lumby. In the last years, Viva La Musica has become recognised locally as one of the more exciting chamber ensembles operating in the East Midlands. Invitations to sing at churches and Cathedrals are now being prepared for alongside a busy schedule of concerts in and around Leicestershire. Viva Voce Chamber Choir, Sheffield Viva Voce is a Sheffield-based chamber choir, with singers from in and around the city. The group runs on a collective basis and performs in a variety of venues both in Sheffield and further afield. Viva Voce Singers, Norwich, Norfolk A 20-voice group specialising in a cappella works and exploring the links between early and contemporary music. VivaVox - The Choir That Rocks!, Kippax, Leeds. Singing is for everyone, and everyone is welcome, because everyone can sing! No audition. Quick to learn, original arrangements written exclusively for VivaVox by our Musical Director. Learn to sing - The choir is run by two highly experienced singing teachers. Upbeat, well paced, fun rehearsals. We perform at a variety of events throughout the year, doing lots of fundraising for various charities. There is no lump sum payment up front, the fee is a weekly payment of £5.00, if you can't make it, you don't pay. Viva Musica, West Midlands. Since its formation 21 yeasr ago, Viva Musica has established itself as one of the leading choirs in the West Midlands. With over 70 mixed voices it has earned an enviable reputation for performing a wide range of classical, religious, modern and popular choral music in a variety of venues across the Midlands and beyond. Vivace Chorus, Guildford, Surrey Formed in 1947 as the Guildford Philharmonic Choir, the Vivace Chorus as it is now known is a vibrant mixed voice choir (currently 130 strong) that performs about 4 concerts a year, usually in Guildford Cathedral, plus occasional concerts around the South East, in London and with our twinned choir in Freiburg. New members are always welcome. Vivace Voices, Tilehurst, Reading We are an upper voice choir who sing a wide variety of music with a desire to share this with the community and to benefit others. For many years we have given termly concerts at various venues in West Berkshire with all proceeds from these concerts going to our chosen charity for that term. We also perform regularly in care homes. Vivacity Choir, Sheffield Vivacity Choir is a fun and friendly community choir based in Sheffield, UK. Currently we have a membership of 67 singers. Claire McAuley is our Musical Director with Kate van Der Riet Assisting. Julie Curtis and Dave Moore accompany the choir. Vivaldi Singers, Farnham, Surrey A mixed choir of 30 – 35 amateur singers of varied ability. Performing music of all genres from sacred to secular and requiems to madrigals, spirituals and lighter music. They give two concerts a year for charity and extend a warm welcome to new members. Vivamus, London Vivamus began life in July 2002. Joseph Nolan's desire was to form a choir (around 35 singers) of top level amateur singers or ex-professional singers. Vivamus has stormed onto the London choral scene attracting young singers of a very high standard. Vivamus is a young and exciting choir, and we believe the social life of the choir is just as important as the excellent music we make. We are always on the lookout for enthusiastic and committed people to join us. VivaVoices Afternoon Choir, Bury St Edmunds, Suffolk We sing a lively mix of well-known songs from across the decades and cover all styles - everything from Bach to Tony Bennett, The Beatles and Beyoncé! All songs are learnt by ear, with a copy of the words provided, so there is no need to be able to read music. The afternoon choir meets Mondays, 1.30pm-3.00pm (doors open from 1.15pm), at the Unitarian Meeting House on Churchgate Street, in the centre of town (see map). This beautiful Baroque church has a lovely acoustic, ideal for singing. VivaVoices Evening Choir, Bury St Edmunds, Suffolk We sing a lively mix of well-known songs from across the decades and cover all styles - everything from Bach to Tony Bennett, The Beatles and Beyoncé! All songs are learnt by ear, with a copy of the words provided, so there is no need to be able to read music.. The evening choir meets Tuesdays, 7.15pm-9.15pm (doors open from 7.00pm) at the Unitarian Meeting House on Churchgate Street, in the centre of town (see map). This beautiful Baroque church has a lovely acoustic, ideal for singing. VivaVoices Evening Choir, Stowmarket, Suffolk We meet Mondays, 7.30pm-9.00pm (doors open from 7.15pm) at Stowmarket United Reformed Church, in the centre of town. We sing a lively mix of pop, rock, easy listening, musicals, classical music, and songs from around the world. VivaVoices Evening Choir, Newmarket, Suffolk We sing a mix of well-known pop and rock songs, from the ‘50s to the present, as well as easy listening, songs from West End shows and traditional songs from around the world. We meet Thursdays, 7.30pm-9.00pm (doors open from 7.15pm) in the Performing Arts Building, Fairstead House School, Fordham Road, near Waitrose. There is ample free parking at the front of the school. VivaVoices Evening Choir, Wymondham, Norfolk We meet Wednesdays, 7.30pm-9.00pm (doors open from 7.15pm) at Fairland United Reformed Church, Fairland Street, in the centre of town (see map). There is a small car park at the rear of the venue, with additional free evening parking available in the surrounding streets and at Central Hall. Voca, Bury St Edmunds, Suffolk A friendly, community choir who meet weekly and enjoy singing together. Concert and other local performances are given throughout the year. There is no audition and you don't have to be able to read music, just have a passion for singing! We meet at St John's Church, Bury St Edmunds, every Thursday evening, 7.00pm-8.30pm. Vocal Academy, Sawtry, Huntingdon, Cambridgeshire Close to 40-strong, Vocal Academy is a relatively new and growing male voice, four-part harmony chorus based in Sawtry (on the A1 between Peterborough and Huntingdon), driven with enthusiasm and a love of music. We rehearse 8pm-10pm on Wednesday nights in Sawtry Junior School - guests are always welcome. Vocal Academy was formed in 2001 when a group of men who enjoy singing all kinds of music decided to get together once a week to practice their hobby. Since that time this Sawtry-based chorus has grown in size and gained a reputation for exciting, top quality performances. In 2007 Vocal Academy won at Bedford and Oundle Music Festivals and was placed ninth in the British Association of Barbershop Singers (BABS) national chorus competition in Scarborough. Vocal Authority, Newport, Lincoln Community Choir meeting Thursday evenings, 5:30pm for a 6pm start. Bishop Grosseteste University Chapel, Newport, Lincoln. LN1 3DY. Vocal Chords Choir, East London, London Vocal Chords Choir is a mixed choir performing around south-east London. Recent projects have included Songs of the Sea, fundraising for the Mission to Seafarers, and songs of remembrance for the 1914 commemorations. Vocal Dimension, Redhill, Surrey A women’s a cappella harmony chorus, Vocal Dimension will be working on a wide repertoire of classic four part harmony arrangements: a mixture of barbershop swing, songs from the Shows and pop. A cappella singing is challenging yet rewarding and you, as a singer, will be able to experience barbershop’s unique ringing chords. Bring out the inner performer in you and enjoy providing your audience with an emotionally satisfying and entertaining experience. Vocal Edge Choir, Edinburgh A brand-new choir in Edinburgh, meeting on Monday nights 7pm - 9pm at the Halls, Henderson Street. We sing a variety of songs, ranging from Pop to Soul, to Blues and Musical Theatre. No genre too strange, no songs too weird! We’re all about diversity and variety, and getting people involved. Vocal Edge choir is run by Tom Bathgate and Laura Dumbleton, both Certified Instructors with the Institute for Vocal Advancement. Our aim is for our members to enjoy singing whilst getting the most out of their voices at the same time. Our vision is to create a place where people feel comfortable being themselves, to sing without judgement and meet like minded people. Our goal is to reach as many like-minded people as possible, and for them to bring friends too! Vocal Expressions, Holmfirth, W. Yorkshire Lively, enthusiastic ladies' choir with around 50 members - varied repertoire ranging from Elgar to Novello - performed in Manchester, Llandudno, Scarborough, Leeds and all over West Yorkshire. Vocal Fusion, Glasgow Formed by 4 students from the Royal Scottish Academy of Music and Drama, who are all seasoned ensemble performers and have vast and impressive repertoire of both sacred and secular music appropriate for all formal concerts. Vocal Harmony, South Wales Vocal Harmony is a contemporary choir singing modern music in three part harmony. No auditions and no need to read music. Everyone welcome. We run choirs in Swansea, Cardiff, and Llanelli. Vocal Impact Youth Choir, Dorset. Vocal Impact is an ambitious Dorset youth choir with sights set on professional performances. Directed by a leading vocalist with West End, global and TV experience, Vocal Impact gives local Children, aged 11 - 18, the opportunity of professional stages and CD releases. Vocal Infinity, Warrington, Cheshire Female a cappella group specialising in modern arrangements. If you love singing, are a team player and over 17, why not come along and join in the fun! We meet every Thursday at 8pm and there's always room for more. Vocal Works Gospel Choir, Bath A 40-strong funky gospel choir based in the Bath area. Their repertoiren includes traditional and contemporary gospel, along with popular music arranged in a gospel style. Recently released their debut CD 'Live At Invention Arts' and performed at the wedding of BBCs Natasha Kaplinsky. Vocalis, Harrogate, North Yorkshire A leading chamber choir in the beautiful spa town of Harrogate, North Yorkshire. We are a mixed-voice choir of experienced and enthusiastic singers, singing both accompanied and unaccompanied music from the fifteenth century to the present day. We sing 4 concerts a year of which at least one is dedicated to raising money for a nominated charity. We perform concerts in a wide range of settings and are equally at home performing at weddings and other events as requested. Vocalize, Herne Hill, London SE24 0BZ A new choir which launches on Thursday 7 January 2016. Led by dynamic and experienced conductors, Richard Harker and James Dixon, Vocalize: Herne Hill will rehearse weekly from 7.45 - 9.15pm in St Faith’s Church, Herne Hill. The choir will perform locally and at a wide range of high profile events and concerts alongside its sister choir from Blackheath. The choir will focus on themed concerts in a huge array of musical styles, from Tina Turner to Thomas Tallis and much, much more. Singers of all ability levels are welcome; there are no auditions, and music will be taught in a wide variety of ways. All you have to do is turn up and give it a go! The team looks forward very much to welcoming you. Voce Chamber Choir, Kensington London A 25 strong chamber choir based in West London. Audition only. It aims to make first class music with a fun group of young, diverse, talented people. Vocelle Ladies' Choir, Llanharry, South Wales Vocelle is a vibrant group of women who love to sing and make music to an exceptional standard. Our repertoire is exceptionally varied and includes songs from every genre of music – classics, folk and jazz to name but a few. We are very proud of our Welsh heritage and love to sing traditional and contemporary Welsh songs. We are also adept at singing in many other languages. The choir was formed in 2012 under the direction of Meryn Williams and specialises in close harmony. Voces8, London Voces8 combines the finest young talent with inspirational performance. The groups energetic and fresh approach has stunned audiences across Europe, making it one of the most highly sought after vocal ensembles around. Voces Sacrae, Oxford Voces Sacrae is one of the most exciting and versatile professional chamber choirs in Britain today, having already established an excellent reputation and receiving superb reviews fo r every performance . The ensemble has been working in the fields of both contemporary (mainly a cappella) and Renaissance choral music and, from the mid-1990s, has been performing and recording in association with Oxford University Press, promoting their new choral repertoire. The choir is very keen to bring the work of new composers to the public's attention. Voci Chamber Choir, Windsor, Berkshire An auditioned chamber choir of twenty to thirty singers brought together by their common love of beautiful music. Formed in 2012 by director Susan Piggott and accompanist Richard Furstenheim. Voci meets between 8 and 9.30 p.m. on Monday evenings in St Agnes Church, Spital, Windsor SL4 3DX. We perform an eclectic mix of choral works from early music and madrigals to close harmony jazz and modern classical pieces, interspersed with solo and small group numbers performed by members of the choir. We combine having fun with aiming high. Voice Band, Great Missenden, Bucks A Children's singing group for school years 3-0 )age 7 - 14 - a Glee club, but more! Voice Bucks Youth Choir, Buckinghamshire	Voice Bucks Youth Choir is a group of singers who enjoy learning and performing a variety of music to a high standard and having the chance to develop their voices. The choir runs unauditioned training days for 13-23 year olds and an auditioned summer course for 16-23 year olds, working in a friendly, and relaxed environment. Past performances include Waddesdon Manor, Aylesbury Waterside Theatre and Harrods Department Store. Voice Box Choir, Witney, Oxfordshire Voice Box was formed in 2004 by Lesley Morris and Keith Harris who are well known as the duo Anything Goes. The choir, which now has over thirty members, performs a very wide repertoire of songs from madrigals to musicals and Bach to the Beatles! Whatever the challenge Voice Box is highly professional, enthusiastic, lively and, what’s more, great fun! Voice House, Edinburgh Established in 1992, we are a community-based choir in Edinburgh, Scotland with about 50-60 singers of all ages who meet weekly to sing, laugh and socialise. No audition or solo singing required. They sing Scottish, Irish, East European and African songs. Folk, spiritual, gospel, protest or pop. Voice of the People, Quantocks, Somerset A non-audition community choir.New members of all ages and abilities are always welcome, everything taught aurally no need to read music. First 'taster' session is free. Led by natural voice practitioner Yvette Staelens. Meets Thursdays at Broomfield Village Hall, near Taunton TA5 2EQ. 5.00-6.30pm. Voice of the People, Wellington, Somerset A non-audition community choir. New members of all ages and abilities are always welcome, everything taught aurally no need to read music. First 'taster' session is free. Led by natural voice practitioner Yvette Staelens Thursdays at the Friends Meeting House,TA21 8RA. 8.00pm - 9.30pm. Voice of the Town, Birmingham Voice of the Town is a mixed-voice adult contemporary choir which performs material from a broad range of popular styles, often with a twist and a whole lot of soul! You are welcome no matter your level of experience, and there are no auditions or pressure to read music or sing solo. Each term of weekly rehearsals culminates in a performance and there are regular opportunities to perform aside from these as well. Voice of the Town, Edinburgh Voice of the Town is a mixed-voice adult contemporary choir which performs material from a broad range of popular styles, often with a twist and a whole lot of soul! You are welcome no matter your level of experience, and there are no auditions or pressure to read music or sing solo. Each term of weekly rehearsals culminates in a performance and there are regular opportunities to perform aside from these as well. Voice of the Town, Glasgow Voice of the Town is a mixed-voice adult contemporary choir which performs material from a broad range of popular styles, often with a twist and a whole lot of soul! You are welcome no matter your level of experience, and there are no auditions or pressure to read music or sing solo. Each term of weekly rehearsals culminates in a performance and there are regular opportunities to perform aside from these as well. Voice of the Town, Newcastle Upon Tyne Voice of the Town is a mixed-voice adult contemporary choir which performs material from a broad range of popular styles, often with a twist and a whole lot of soul! You are welcome no matter your level of experience, and there are no auditions or pressure to read music or sing solo. Each term of weekly rehearsals culminates in a performance and there are regular opportunities to perform aside from these as well. Voicebeat, The Sage Gateshead, Gateshead, Tyne & Wear An adventurous and fun-loving vocal ensemble exploring all kinds of music, including funk, world, gospel, soul, pop, blues and various other songs and grooves - dance with your voice and feel uplifted. A love of rhythm and singing is the best preparation - no music reading skills necessary. Meets Wednesday 7.00pm - 9.00 pm. VoiceChoice, Nottingham A unique artist-led community organisation run by Michelle Wegwart and Tim Lole, Voice Choice (formerly Magdala) was set up to open up opportunities for people from all backgrounds to develop singing and performance skills in ways that encourages creativity, self-expression and self belief and to encourage appreciation and understanding of music and singing in the community through first-class performances in venues accessible to all. Voicemale, Aylsham, Norfolk A group of some 16 men who sing in Aylsham, Norfolk on Saturday mornings - usually the 2nd, 4th and 5th Saturday of the month, although sometimes dates are changed to accommodate public holidays. We sing unaccompanied songs in glorious harmony; and occasionally we perform them in public. Our repertoire is from around the world – including Georgian, Corsican, and American gospel, and songs from various African countries. VoiceMale, Morpeth, Northumberland VoiceMale is a group of men from a variety of backgrounds and with a broad range of musical experience, who meet every week to share the joy of singing, in good company. We sing a wide range of songs, in exciting vocal arrangements, mainly from the North East folk repertoire, but including gospel, world music and contemporary popular songs. Our two hour rehearsals, though focussed, are relaxed and informal and usually end with earnest discussions over a pint in the Tap & Spile. Voices Anon, Maidenhead, Berkshire 40-strong, aiming to introduce adults to the skills, techniques, fun and enjoyment of choral singing. Voices Choir, Eastbourne, East Sussex Meets every Wednesday from 7-9 at Alice Cooper House, Cornhill Lane. No auditions, ability to read music or previous experience required.....just a love of singing! Concerts performed in Summer and at Christmas together with Voices Choir, Pevensey Bay, with all profits going to charity. All welcome, no age or gender limits. Singing material ranging from 1960s pop and rock through to Amy Winehouse & Adele, with a bit of jazz and Show music thrown in for good measure, NO classical . Voices Choir, Pevensey Bay, East Sussex Meets every Thurs from 7-9pm in Pevensey Bay Baptist Church Hall. No auditions, ability to read music or previous experience are required....just a love of singing!! Concerts performed in Summer and at Christmas with all profits going to charity. ALL welcome. Singing material ranging from 1960s pop and rock through to Amy Winehouse & Adele, with a bit of jazz and Show music thrown in for good measure, NO classical . Voices Choir (The City of Derby Girls' Choir) Chamber choir for girls 12-19. Wide repertoire: Palestrina to Pop and everything in between. Annual overseas concert tour. Twice Sainsbury's Choir of the day. Voices in Common, Exeter, Devon Voices in Common is a community folk choir based in Exeter. It is an open access choir welcoming all voices and levels of experience. Currently the choir is about 40 voices. They sing folk songs from their own region, or recently written songs on subjects dear to the hearts of the singers. They also sing some songs with an international connection and like to connect with a first language speaker to get accurate pronunciation and understand meanings as fully as possible. Voices in Harmony Community Choir, Bridgnorth, Shropshire Voices in Harmony is an a cappella community choir which sings songs from around the world, including Africa, the Balkans, Georgia, other European countries and, of course, Britain! There are no auditions, all songs are taught by ear and anyone is very welcome to try us out. (We give 2 local performances a year, plus extras. Voices of Lecale, Downpatrick, County Down. Northern Ireland A community choir founded in 2007. We are an inclusive choir with no auditions required and run under Natural Voice (NVPN) principles. There are currently 30 members ranging in age from 30 somethings to 70 plus and we enjoy singing folk and traditional songs from around the globe, singing at festivals and concerts in a wide variety of venues. We've just finished recording our 3rd CD which we plan to launch in September. Voices of Lions, Hampton, London We are an all male voice choir from Hampton School in south west London with a wide repertoire ranging from classical to a cappella, from renaissance to rock. We reached the category finals of the Choir of the Year Competition 2014 as one of four youth choirs from across the country. We have enjoyed performing in the Royal Festival Hall, at BBC's Maida Vale Studios and at the Edinburgh Fringe Festival. Voices Of the Day Choir, Church Of Ascension, Seacroft, Leeds Led by Cleve Freckleton, Voice of the Day is a community based non denominational choir with big hearts and big voices. We sing a variety of styles, from Soul, through to Motown and our own funky variations on modern pop. Voices of the South, Sussex Voices Of The South is the collective name for two Sussex community choirs: Shoreham-Singers-by-Sea and Ditchling Singers. They were both founded by world-renowned bass player and music educationalist Herbie Flowers and are conducted by Ian White (Shoreham) and Brett Wellcome (Ditchling), supported by a team of volunteers from within each choir. Voices Together, Stafford. A community choir open to all adults and teenagers over the age of 13. We sing in a wide range of styles, including classical, musical theatre and pop, and perform in fantastic venues - from Lichfield Cathedral to Birmingham Symphony Hall! We rehearse 6.10-7.10pm on Wednesdays (term-time only), at Blessed William Howard Catholic High School in Stafford. No auditions are required, and you can try out your first few sessions free of charge - we'd love to see you there! Voices Together Community Choir, Belfast, Northern Ireland An inclusive community choir drawing together members of different ages and backgrounds in Northern Ireland. Our diverse membership finds expression in a love of music from different times and cultures: world folk songs, spirituals, classical music and arrangements by group members. Existing in its current form since 2011, Voices Together has nearly 60 members. It is directed by Dave Stewart, a music graduate with over 20 years experience in directing choirs and maximising people’s enthusiasm and skill for singing. Voices Unlimited Contemporary Choir, Worcester An 80-strong mixed choir with members age 17 - 80. The choir was formed in 2008 and we love to sing pop, jazz and musical theatre repertoire. We're also adept at backing solo artists in concert, and are looking forward to recording our first album in 2010! VoiceWorks Community Choir, Bodmin, Cornwall A big, enthusiastic, mixed group, singing contemporary material. All taught by ear; no reading music, no auditions, no solos. Everyone is welcome to come along, no matter what their singing experience. Foghorns and shower singers especially encouraged! Songs by artists including: Amy Winehouse, The Eels, Groove Armada, REM and Blur. Performances last season included the Daphne Du Maurier Festival and The Rock Oyster Festival in Cornwall. We meet Thursdays from 7:30pm to 9:00pm in the music room at Bodmin Community College, term time only. Voix de Vivre, St Albans, Herts A chamber choir made up of experienced singers whose individual ability allows them to tackle a wide range of challenging repertoire. Its founder and conductor is Neil MacKenzie, who is an established soloist, teacher and member of Britain's only full-time professional choir, the BBC Singers. Vox, University of Cardiff, Wales Vox are a mixed acappella group, always bringing energy to the stage and never failing to please a crowd. Having both male and female voices allows for a versatile repertoire including Green Day, Gary Jules and Zedd. Vox Chamber Choir, Oxford We are a high standard chamber choir (max 24 singers) under the direction of David Crown, singing mainly a cappella works from the Renaissance through to modern contemporary. 4-6 concerts per annum mostly in and around Oxfordshire. Hard working. Challenging rep. Warm and friendly. Rehearsal Tuesday evening. All voice parts are welcome to make enquiry. Members are expected to attend with notes learnt so rehearsal time can remain focused on good choral technique and excellence in singing. Vox Holloway, London Vox Holloway is a community choir based at St Luke's Church, West Holloway founded in 2009. The choir is open to all with no auditions and members are not required to have previous experience of choral singing, below to a particular faith or live in a particular postcode. ox Musica, London A new choral ensemble aiming to give definitive and authentic performances in the environment and with the instruments with which they were intended to be performed. Vox Populi, Canterbury, Kent. We are a friendly, modern community choir open to all who love to sing!